There is nothing cuter than my little darling dressed in an adorable frock prancing around pretending she is a princess. There is also nothing more wonderful than well made, originally crafted children’s clothes that are perfect for almost any occasion. 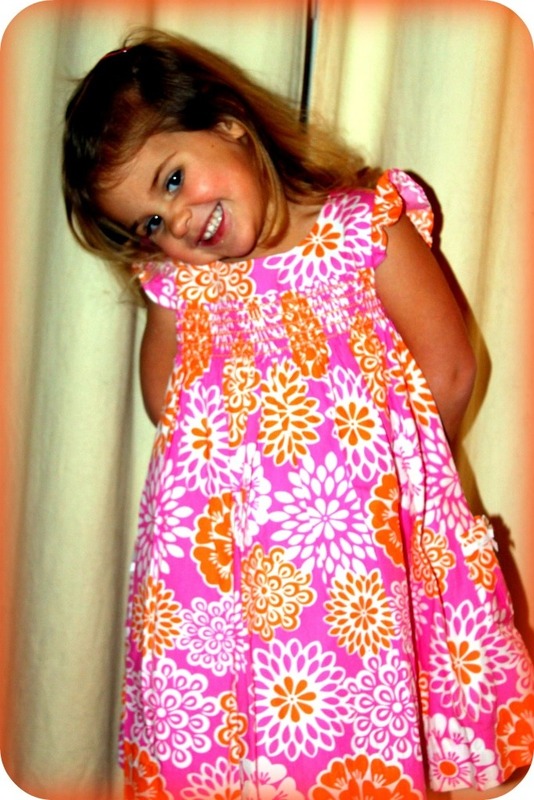 Hartstrings makes beautiful children’s clothing that are original, well designed and high quality. They sent me this beautiful orange and pink dress for Lu to try. It is a high quality cotton dress with an inner fabric lining which adds shape and thickness to the dress. The dress is absolutely adorable. I love the slightly smocked band and the ruffled cap sleeves. There are also puffy little pockets with tiny embellished white bows on each side of the dress. Lu found the pockets immediately and was swinging in around in circles with her hands in the pockets. Hartstrings has a wide variety of clothing for both boys and girls that will have no problem getting the “Mom” approval. They have casual to dressy apparel for kids ages newborn to size 14 as well as accessories and rain gear. If you haven’t already picked out those perfect holiday outfits be sure to check out their great selection, many of which have already been marked down and can still arrive in time for Christmas. You can purchase all their wonderful items on their website or in your local Hartstrings store. Click here to find a store near you. Disclaimer: I received a product sample for this post to complete my review. All opinions are mine. This blog is in no way affiliated with Twitter, Facebook or other network. Thank you to BSM Media for making this post possible.